Karen Green came to Mount Sinai Hospital in 1989 as an infection control practitioner, a position she held until assuming her current research position in the fall of 1998. Karen completed her nursing training in Newfoundland and held clinical nursing positions in a number of different practice settings before entering the field of infection control. Her interest in infectious disease epidemiology and population-based surveillance prompted her decision to obtain her M.Sc. in Health Research Methodology at McMaster University. 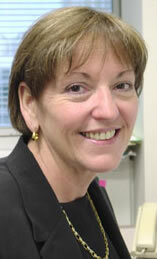 Karen has been responsible for the development of the Department of Microbiology and SARSwatch websites and serves as editor for these sites. She currently manages the activities of the Toronto Invasive Bacterial Diseases Network, the Canadian Bacterial Surveillance Network, the Ontario Group A Streptococcal Study, the Toronto SARS Hospital Transmission Investigations, and associated studies of antimicrobial resistance. She is also co-investigator on a number of peer-reviewed research studies and surveillance projects. Her research interests include the epidemiology of invasive bacterial diseases and antimicrobial resistance. Amer J of Trans. 7(5):1209-14, 5/1/2007. Roberts A, Bitnun A, McGeer A, Tran D, Yau Y, Simpson K, Green K, Lowe DE, Ford-Jones EL. Laboratory-confirmed influenza-associated hospitalizations among children in the metropolitan Toronto and Peel region by active surveillance, 2004-2005. Can Commun Dis Rep. 32(18):203-7., 9/15/2006. Daneman N, McGeer A, Green K, Low DE; Toronto Invasive Bacterial Diseases Network. Department of Laboratory Medicine and Pathobiology, University of Toronto, Toronto, Ontario, Canada. Clin Infect Dis. 43(4):432-8., 8/15/2006. Ofner-Agostini M, Gravel D, McDonald LC, Lem M, Sarwal S, McGeer A, Green K, Vearncombe M, Roth V, Paton S, Loeb M, Simor A. Cluster of cases of severe acute respiratory syndrome among Toronto healthcare workers after implementation of infection control precautions: a case series. Inf Con & Hosp Epid. 27(5):473-8., 5/1/2006. Impact of antibiotic administrative restrictions on trends in antibiotic resistance. Can J Public Health. 97(2):126-31., 4/1/2006. Drews SJ, Poutanen SM, Mazzulli T, McGeer AJ, Sarabia A, Pong-Porter S, Rzayev Y, Willey B, Green K, Low DE. Decreased prevalence of virulence factors among ciprofloxacin-resistant uropathogenic Escherichia coli isolates. J Clin Microbiol. 43(8):4218-4220., 8/1/2005. Green NM, Beres SB, Graviss EA, Allison JE, McGeer AJ, Vuopio-Varkila J, LeFebvre RB, Musser JM. Genetic diversity among type emm28 group A Streptococcus strains causing invasive infections and pharyngitis. J Clin Microbiol. 43(8):4083-4091., 8/1/2005. Daneman N, McGeer A, Low DE, Tyrrell G, Simor AE, McArthur M, Schwartz B, Jessamine P, Croxford R, Green KA; Ontario Group A Streptococcal Study Group. Hospital-acquired invasive group a streptococcal infections in Ontario, Canada, 1992-2000. Clin Infect Dis. 41(3):334-342., 8/1/2005. Raboud J, Saskin R, Simor A, Loeb M, Green K, Low DE, McGeer A. Modeling transmission of methicillin-resistant Staphylococcus aureus among patients admitted to a hospital. Inf Con & Hosp Epid. 26(7):607-615., 7/1/2005. Vanderkooi OG, Low DE, Green K, Powis JE, McGeer A; Toronto Invasive Bacterial Disease Network. Predicting antimicrobial resistance in invasive pneumococcal infections. Clin Infect Dis. 40(9):1288-1297., 5/1/2005.